Levi teaches Bible, Hasidut, Maimonides and Midrash at Pardes. Originally from Australia, Levi holds an LL.B., LL.M. and Ph.D. from the Law Faculty of Bar-Ilan University, and is a member of the Israel Bar Association. He is a Teaching Fellow at the Buchmann Law Faculty of Tel Aviv University. Levi served in the IDF’s Golani Brigade and continues to do Reserve Duty as a commander in an infantry unit. He is a member of the Tzohar rabbis organization, an educational advisor to the Jewish community of Istanbul, Turkey and an educator with Heritage Seminars. He serves on the Readers’ Association of the National Library of Israel and is one of the founders of the Lavi Primary School. Levi has authored articles in Judaic studies and prepared educational materials for use in high schools. He publishes a column in the Jerusalem Post and is a contributing editor for Jewish Educational Leadership, the journal of Bar-Ilan University’s Lookstein Center. Levi is the spiritual leader of Kehillat HaTzur VeHaTzohar in Zur Hadassa, a mixed religious and secular neighbourhood outside Jerusalem. 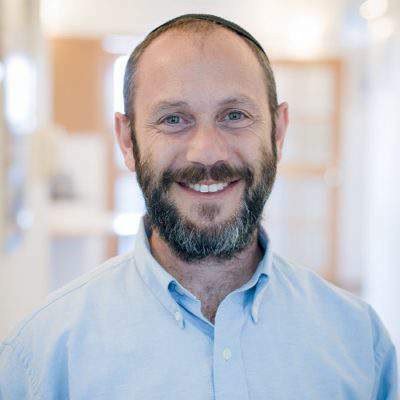 His doctoral dissertation explores the interaction between Hasidism and Halakha, and his current research focuses on the evolution and normatisation of Hasidic lore. Levi is married and has 6 children. Online learning: Click here to view online learning material from Levi on Elmad, online learning powered by Pardes.